Eating vegetables is very beneficial for your health in several different ways, one most important is keeping your blood pressure low. Adding the most amounts of vegetables to your diet as you can protects you from other diseases like certain types of cancers, heart disease, and type II diabetes. Vegetables are packed with nutrients and vitamins that can give you an added boost of energy. On top of it all, being healthy inside can make look younger, healthier and more attractive on the outside, and who doesn’t want that? The recommended amount of vegetables to eat daily is 3-5 servings, and sadly enough, better than 70% of people do not eat enough of these healthy and nutritious food sources. Too many, eating vegetables is a chore, and they simple don’t take the time to prepare them for consumption. Eating vegetables, an essential part of the meal can be really delightful and gratifying, in what way? Consider the following. Vegetables can be cooked and prepared in a variety of ways, from steaming to roasting. We prepared this guide to help you learn the best techniques in cooking healthy and sumptuous vegetables. You might say you already knew this, than please consider this guide a reminder. 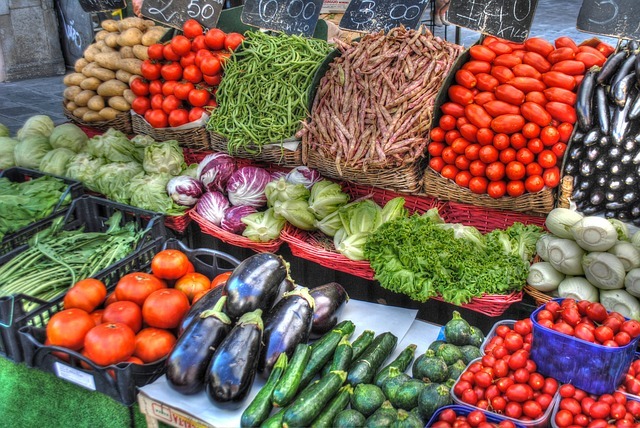 A good sign that vegetables are properly cooked is by looking for a very bright and vibrant color. When the color is dull or dark, as can be the case with canned green beans or Asparagus, it’s a sign that they are over cooked. When vegetables are over cooked, they have little to no nutritional value. Over cooking your vegetables, or buying them in a can is really wasting your hard earned money. These cooking methods can create appetizing and healthy vegetable dishes. Boiling the vegetables is the easiest and most convenient way of preparing a vegetable dish. In this cooking method, all you need is a cooking pot filled with water. But it isn’t ideal as boiling your vegetables strip the essential nutrients while cooking. What’s more, it saps flavor from the vegetables. Steaming your vegetables can allow you to cook them without losing their nutrients, and it helps the vegetables retain their natural flavor. 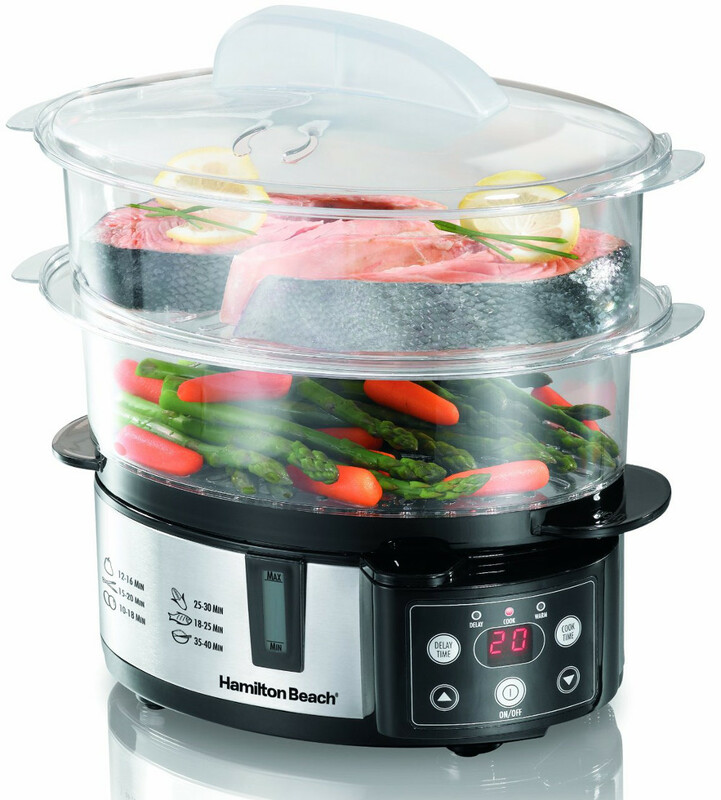 To steam vegetables, you just need a good and reliable steamer. But if you do not have a steamer, you may use a pot with a steaming basket. 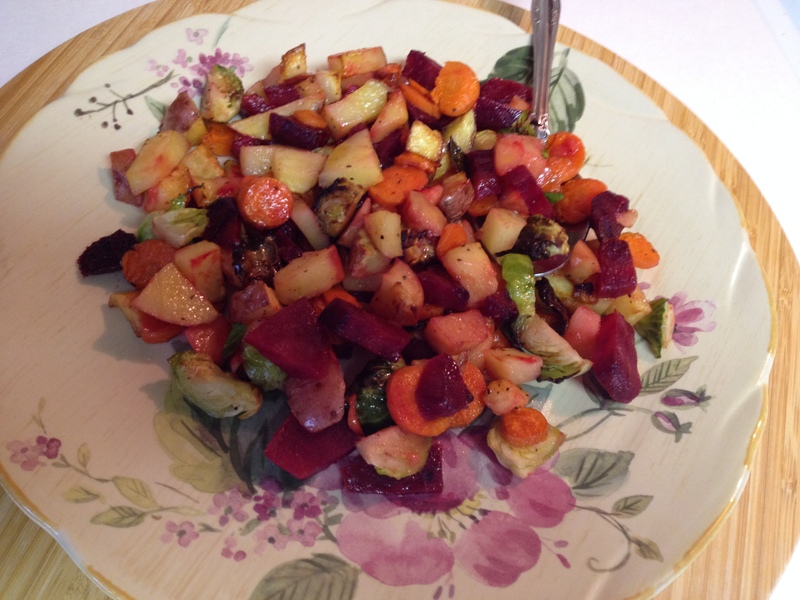 There are some vegetables that can retain more antioxidants, flavor, and nutrients when roasted. Peppers, eggplant, sweet potatoes, beets, and asparagus, to name a few, are healthier and more delicious when they are prepared with this method. Keep in mind, even though the oven is at 350 degrees, and if you are roasting the vegetables for 20 to 30 minutes (depending on the vegetable) the internal temperature of the vegetables will normally be about 165 degrees. 40 to 60 percent of the nutrients are still intact at this temperature. Vitamins and minerals begin to waste away at temperatures of 185 degrees and above (internal temperature not the temperature of the stove). Sautéing also referred to as stir-frying, is no doubt one of the healthiest ways to prepare a vegetable. When sautéing the vegetables, they are being cooked in a pan over very high temperatures. Since the vegetables are cooked in a high temperature, sautéing quickly cooks your vegetables and reduces the loss of nutrients and vitamins. But keep in mind, cutting your vegetables in thin slices is the best way to sauté or stir-fry them, doing so cooks them quickly and they are not exposed to the high heat very long, and therefore retain their nutrients. As far as the taste goes, sautéing won’t compromise the vegetables flavors. Sautéing can retain the natural flavors even better than steaming them. Sautéing them can even add flavor, as this cooking method is done by adding in other flavors like herbs and spices. It is worthy to note, that sautéing requires keeping an eye on the pan of vegetables at all times, as the vegetables can burn quickly or over cook, losing their flavor and essential nutrients. 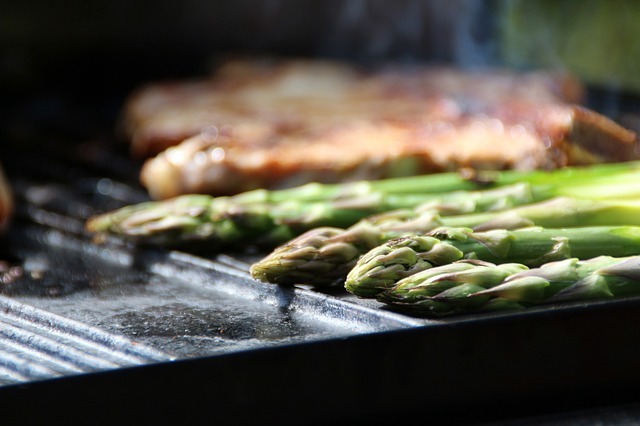 Almost any vegetable can be cooked on a grill. The best vegetables to use though, are those with a low water content, like corn on the cob, zucchini, potatoes, mushrooms, and artichokes to name a few. Coat the vegetables with avocado oil or coconut oil (high smoke point oils) before placing on the grill. You can also grill vegetables using a foil pouch. Make a pouch with aluminum foil, add a little water and they can be steamed, or add some butter, herbs and spices instead to add some flavor. Most vegetables on the grill cook in 3 to 5 minutes. Harder vegetables like potatoes will take longer. Be sure the grill is nice and hot, so that they are on the grill no longer than 3 to 5 minutes, so that they do not lose their nutrients. This entry was posted in Reviews - Kitchen Utensils - Cooking - Food and tagged Boil, Cook, Cooking, Flavor, Grilling Vegetables, healthy ways to cook vegetables, methods for cooking vegetables, Sauté, steaming vegetables, Vegetable, vegetable steamer. Bookmark the permalink. Wonderful suggestions. Hope all your readers bookmark this post. Thanks Jovina. My wish is that others benefit from the information as well. My father has high blood pressure (202/140..I don’t know how he still is alive), because all his life he refused to eat vegetables. Thanks Jovian for your thoughts and visiting our blog. Wow that is High blood pressure! Your poor father must feel miserable. I hope he is getting medication for it. I had a hard time getting my husband to eat vegetables and fruit when we first got married. I got him to start eating raw vegetables first. I made snacks like apple slices with peanut butter on it. I made celery sticks with peanut butter. Then I found Ranch dressing for the first time and used it as a dip. He graduated from there to love salads… I shredded carrots, and put finely chopped celery, spinach and brocolli in my spagettlli sauces which I used for pizza, lasagne and spagettlli sauce. I cook the sauce with wine, garlic, oregano and bayleaves low temperature. The vegetables are cooked down that you can’t really see it in the sauce. He just loved the flavor. Now he loves vegetables. It was a gradual process. Don’t dispair with all your delicious recipes that you post if anyone can change his palate for vegetables I think you can. It takes patience and a lot of love. Hey thanks Honey for your thoughts. Yes my dad does take meds, but that really isn’t the solution. But it really is up to him. Your spaghetti sauce sounds wonderful. Homemade always taste better, even after it has sat for a day or two, taste even oh so Italian (better)!! You are very fortunate to convince your husband to eat vegetables. I like to invite you to check out my other blog on nutrition, your on-line Health News Library at http://www.healthnewslibrary.com . Lots of info on alternative health and how food correlates to a healthy you. We also offer FREE e-books on different health themes. Thanks for stopping by Honey and leaving your thoughts. I appreciate as will your kind words in respects to my dad. Now I’m hungry again. This is very informative. Thanks Jackie. I thought about you while posting this article, as I remember you said you were a non-meat eater, but a vegetarian. Others have left some good comments, and it is my hope Vegetarian or not that all realize how important veggies are for us. Thanks for your thoughts and stopping by Jackie. Thanks. Yes as I grew up my mother boiled or bought canned veggies. As I grew, maybe around my med teens they would say that the kitchen drain was healthier than we were. I really never understood that till I studied human health and nutrition. Hey thanks for the conversation and for stopping by. Hope you link over again.